MRP does not offer access to attorney representation in Minnesota. Web: www.tchabitat.org 1954 University Ave. W.
Web: www.wchra.com 7645 Currell Blvd. For the most current list of HUD Approved Foreclosure Avoidance Counseling Agencies in Minnesota, please visit the HUD website. 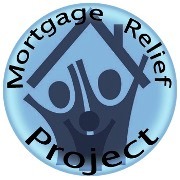 Estimated Foreclosure Process Period: 90+ days. First Notice to Sale Time Period: 7+ days.